The constant shifts in the food industry can be attributed to the diversity of consumer tastes and consumer awareness of global procurement issues. This increased concern for sustainability, food security, food safety and nutrition, has led consumers to start dictating increased local food procurement. In recent years, there has been a visible shift in the demand and consumption of local and organic food. Local foods can be defined as food consumed within 100 miles of where it was produced (Hodges, Stevens, & Wysocki 2014), while other foods travel an average of 1500 miles before it reaches the consumer (Schnell, 2013). Some of the benefits of eating local include product freshness, enriched flavour, higher nutritional and vitamin values. Research suggests consumers are aware of the benefits of consuming local foods and are willing to pay for it. Results of a recent study done in Florida shows the average spending per consumer on local foods were $43 a month in restaurants (Hodges et al., 2014). Do food trucks use local? The Food and Agriculture Organization of the United Nations has recently confirmed that street food is being consumed by almost 2.5 billion people daily (Culinary Schools, 2013). The popularity and increase in numbers of this type of mobile operation has gained exposure and interest from customers in recent years. This is mainly due to the increasing need that diners have for inexpensive, fast, and high quality gourmet food. Although this trend is increasing in restaurants, has the trend been noticed in the newer market – food trucks? 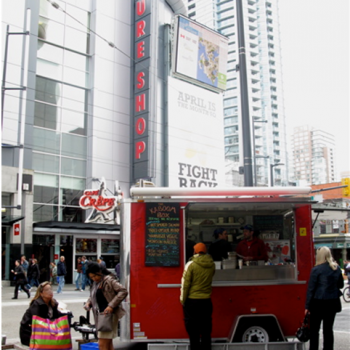 A study of food trucks in Toronto, Canada (Corpuz et al, 2014) found that customers would rather consume something grown in Ontario or Canada as oppose to having something imported into the country. When examining in-depth interviews from food trucks, results showed that 52% of the trucks claimed that they have used local products into their menu, 31% said they incorporate artisanal products, 11% said they use organic. Food trucks also source their food locally (63% source supplies from farmers markets) and claim they used those products to emphasize on healthier and cleaner food (40%) and better quality and taste (46%). Although the use of local or organic food leads to increased cost (83%), food truck operators are committed. As one interviewee stated, “It’s a strong component of our company values. As a company we believe that supporting the environment and maintaining a green footprint of our business is incredibly important”. The data collected through the interviews indicated that food trucks prefer local because of customer preference. A key aspect in sustainability for any business model is its customer base. Given the nature of food trucks and this study’s evidence of their passion for sourcing locally, customers associate themselves with the values of these trucks and develop a relationship with the owners. Consumers who purchase from food trucks are looking for a unique dining experience and food truck operators provide a unique offering in the industry. Perhaps this sector of the food industry will push the local food movement even further. 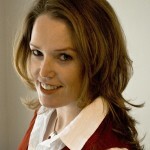 Rachel Dodds is recognized around the world as an expert on sustainable tourism. She is professor at the Ted Rogers School of Hospitality and Tourism Management at Ryerson University and Direct[...]Lire plusor of Sustaining Tourism consulting firm. She is the author of the books "Power and Politics" and "Sustainable Tourism in Islands". Her fields of expertise focus on sustainable tourism, climate changes and social responsibility firms. She holds a Ph.d. from the University of Surrey in England and a master's degree in tourism management at Griffith University in Australia. She is a founding member of the Canada's Icarus Foundation, participated in the Sustainability Council for the Tourism Industry Association and is former member of the Travel and Tourism Research Association of Canada. She has lived and worked on four continents and traveled in more than 75 countries. - Corpuz, J.; Mahmood, A. and Taher, H. (2014) Assessing The Feasibility Of Operating A Food Truck And The Use Of Local, Organic, And Artisanal Foods, Ryerson University, Toronto. - Hodges, A. W., Stevens, T. J., &Wysocki, A. F. (2014). Local and regional food systems inflorida: Values and economic impacts. Journal of Agricultural and Applied Economics, 46(2), 285-298. - Schnell, S. (2013). Food miles, local eating, and community supported agriculture: Putting local food in its place.Agriculture and Human Values, 30(4), 615-628.